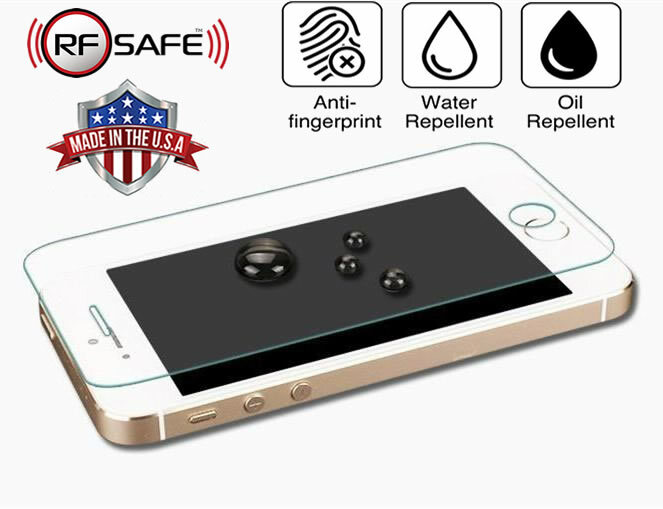 RF Safe has set an ambitious goal of becoming a world-leading phone and tablet screen protector manufacturer in the USA. Today RF Safe announced the recent procurement and operational status of industrial CO2 lasers to manufacture the highest grade 9H glass screen protectors for any device. RF Safe has been testing Graphene and silver carbon nanotubes infused into nano-glass which looks very promising for creating very transparent microwave shielding suitable for Smartphone, Tablet, and Smartwatch screen protectors. Coates makes the point to say that over the last 20 years RF Safe products have changed with the design of devices. “Smartphone cases may not be the best option for shielding future smartphones with flexible displays and foldable designs. Effective screen covers that block microwave radiation as well as RF Safe anti-radiation cases, will be a major breakthrough for the Smartphone radiation safety industry”. 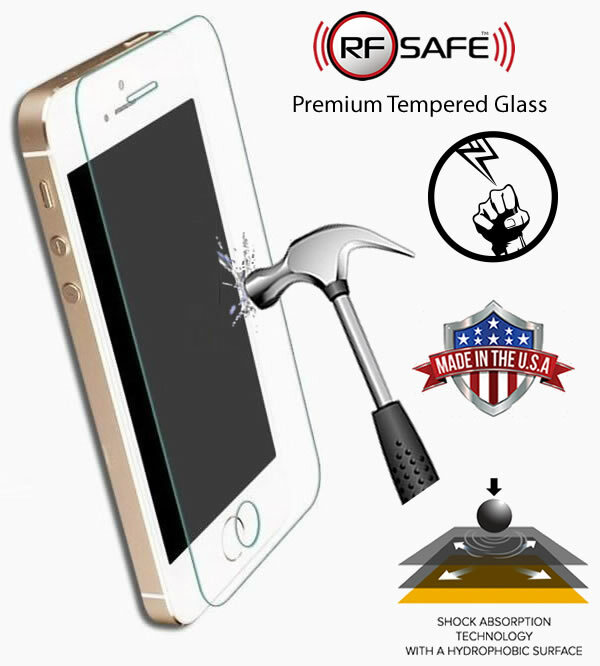 RF Safe explains the first phase of manufacturing will consist of high-quality 9H anti-scratch and anti-shatter nano-glass, it will not offer added radiation protection until RF Safe can achieve its desired levels of microwave radiation protection. New prototype materials are being designed and tested on a weekly basis and progress is moving along at a steady pace. RF Safe screen protectors are a perfect fit as a new addition to RF Safe’s safe cell phone system described below. When RF Safe Flip Case Radiation Shields are designed, extensive research was conducted to determine the most effective method of deflecting phone radiation away from the head and body of the user without covering the antenna or increasing radiation emissions. These were critical design considerations. Many scientists are aware that most shielding products, particularly those that cover the antenna, create an even greater health risk by causing the phone to increase its output power. When this occurs, radiation exposure increases substantially. RF Safe methodologies for shielding cell phone radiation only use technologies to deflect radiation which is directed towards the user’s body and will not cause the phone to increase output power. 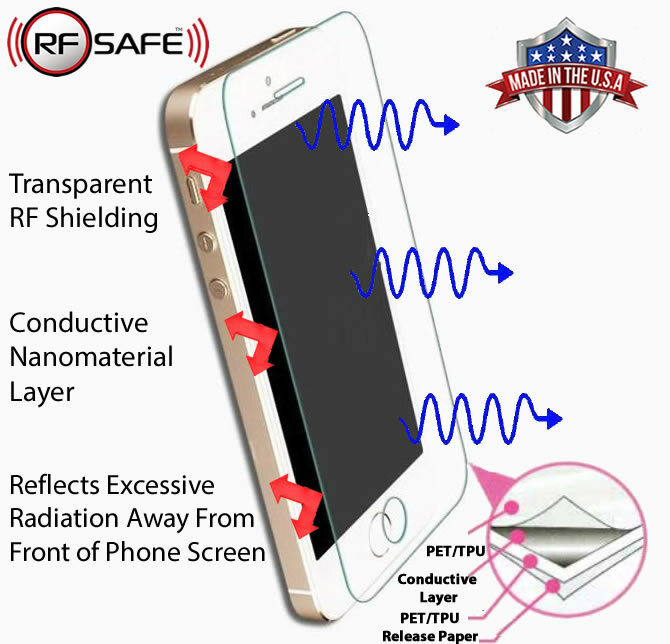 RF Safe put over two decades of phone shielding experience to work when developing advanced technologies for the most ideal RF radiation shielding solution by accommodating the latest smartphone designs. RF Safe’s 4th generation air-tube headset technology is available in six different colors (White, Blue, Red, Black, Purple, Green) and comes in both stereo earphone (dual earbuds) or mono earphone (single earbud). The latest innovations in RF Safe acoustic headset technology are now available for the newest smartphones on the market, Apple iPhone and Samsung Galaxy smartphone users are accustom to the latest technical advancements, and now with an RF Safe headset users can experience live acoustic sound without any microwave radiation or electrical components in their ears. RF Safe is making safety sound better than ever before. Smartphone users using the newest innovation in radiation safe cell phone headsets also get to experience rich live sound unlike any wired headset on the market today. RF Safe’s headset technology utilizes a state-of-the-art enhanced sound chamber which delivers crystal clear acoustic live sound through an air-filled wireless tube (similar to a doctor’s stethoscope). RF Safe has debunked the myth that safer isn’t as much fun.